For most affairs, this eventually becomes the most fundamental of questions, the only one that matters: Do we love each other more than the lives we already have? 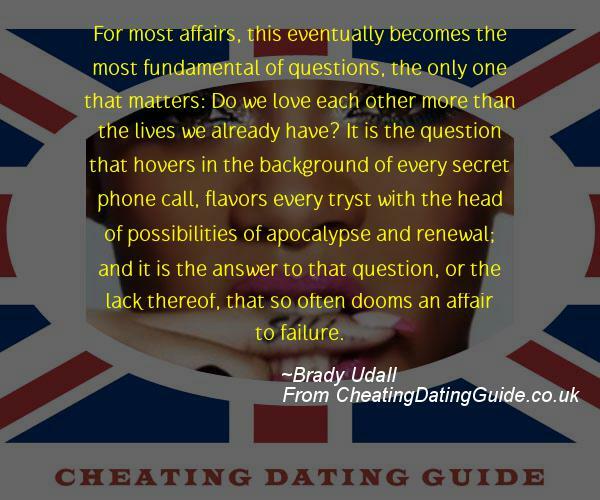 It is the question that hovers in the background of every secret phone call, flavors every tryst with the head of possibilities of apocalypse and renewal; and it is the answer to that question, or the lack thereof, that so often dooms an affair to failure. Next post: She was as sated with him as he was tired of her. Emma had rediscovered in adultery all the banality of marriage.